Featured on the Fox New Magazine Website! 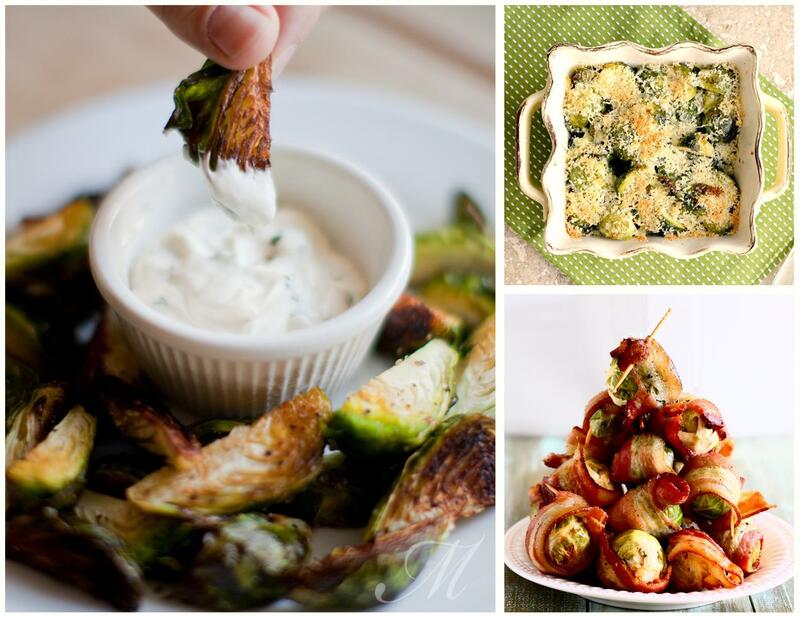 I am very excited and honored to be included in the article, “9 Brussels Sprouts Recipes to Make Anyone a Believer” on the Fox News Magazine website. Check it out! You know when you’re eating dinner and the roll that is sitting on the side of your plate accidentally get’s a little sauce on it from your salad or entree and you take a bite and its like, “yum! ?” Well, that’s why this salad rocks. 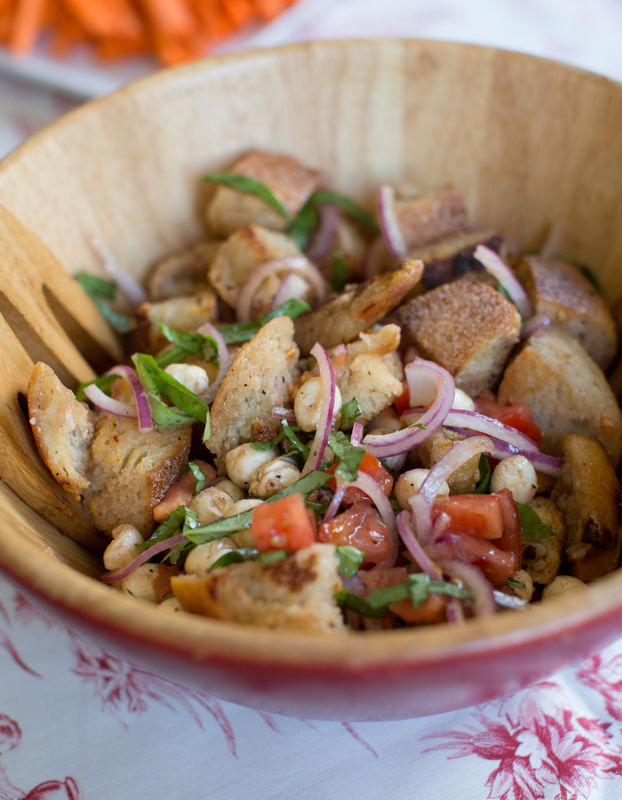 Because we are putting bread in the salad on PURPOSE and its amazing. A succulent bite of crunchy ciabatta that has been soaking up a tangy balsamic dressing is quite delicious. And add some basil, tomatoes and buffalo mozzarella and you are in heaven. Yes, heaven. 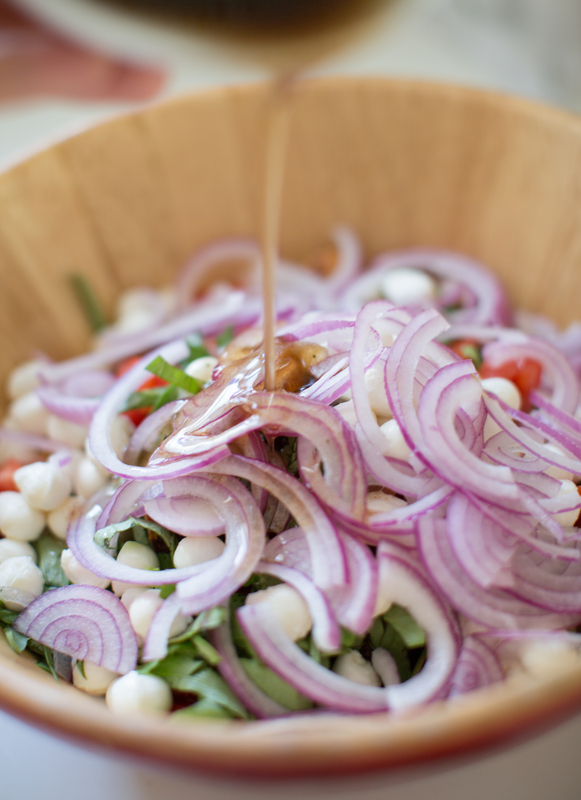 I love this salad and hope you do too! 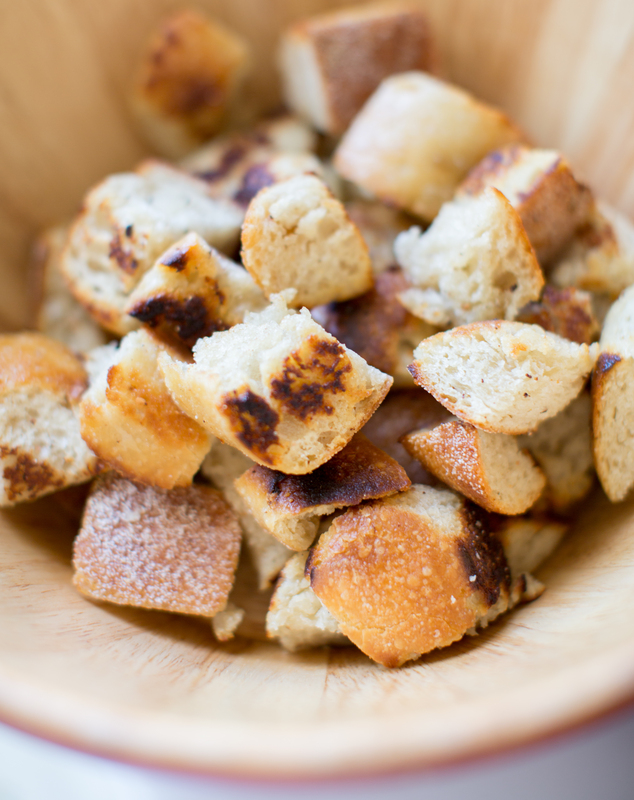 In a large mixing bowl drizzle some olive oil over ciabatta bread and toss. Season with salt and pepper. On a baking sheet spread out bread and bake at 400 degrees for 10-15 minutes until bread is crispy. Set aside to cool. In a small bowl mix together olive and balsamic vinegar and salt/pepper. 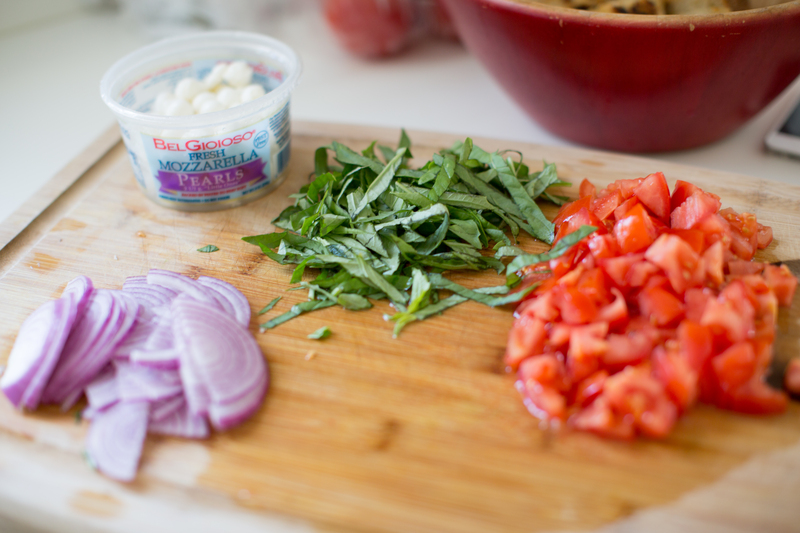 Combine toasted ciabatta, red onion, buffalo mozzarella, basil and tomatoes. 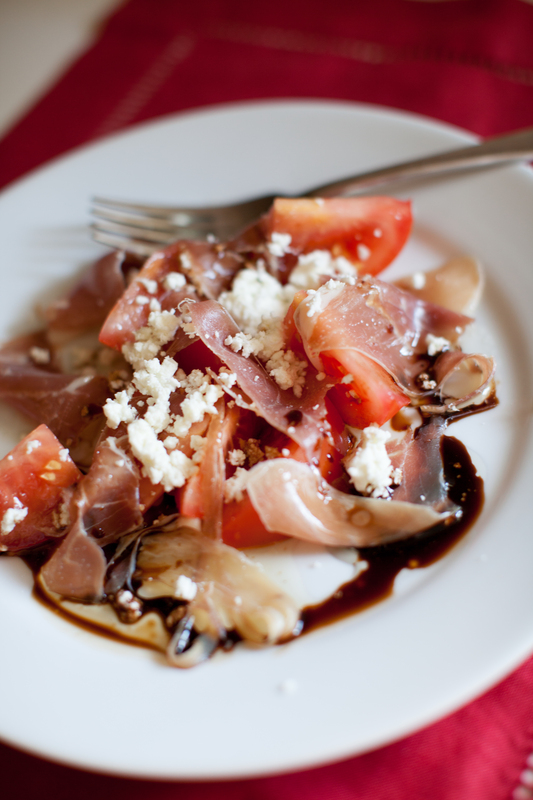 Drizzle olive oil and balsamic mixture over the top and toss. Season with more salt and pepper to taste. Refrigerate to let the dressing soak up in the bread for an hour. Serve and enjoy! 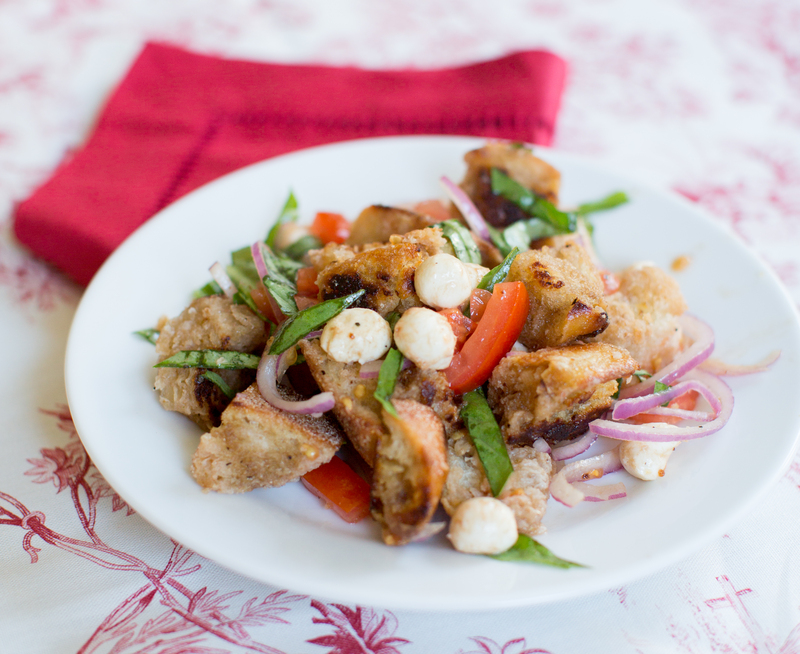 This salad is a perfect quick side to almost any main course. 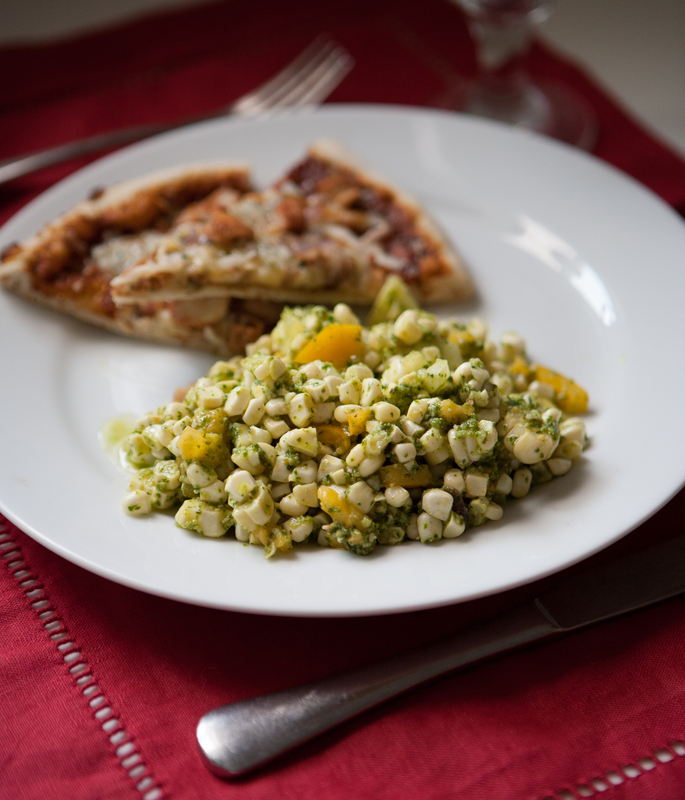 This is a great salad to bring to a potluck, BBQ or just to eat on its own. This pesto recipe has both basil and cilantro which I think really mellows out the basil and makes its a well rounded option. One of my wedding clients gave me the idea and I wouldn’t make regular pesto again! Enjoy! In a separate bowl mix together the corn and heirloom tomato. 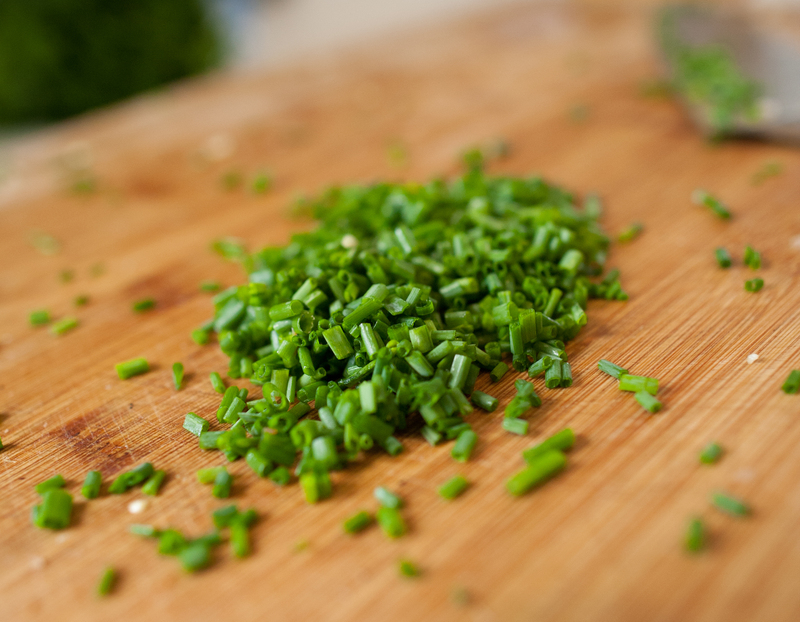 Stir in pesto a tablespoon at a time until you’ve reached your desired consistency. If there is leftover pesto you can freeze it for another use. Enjoy! Growing up my Grandma was famous in our family for her mashed potatoes. When the secret recipe finally got released to the family via the family cookbook I was shocked on how simple they are. Simplicity it king! Its just potatoes with butter, salt and milk. That’s it! The devils in the details of taking the time to correct as you go along. My Grandma always said, “You can always put more salt in but you can’t take it out.” So take your time with these delicious spuds and you are sure to not disappoint. Enjoy! 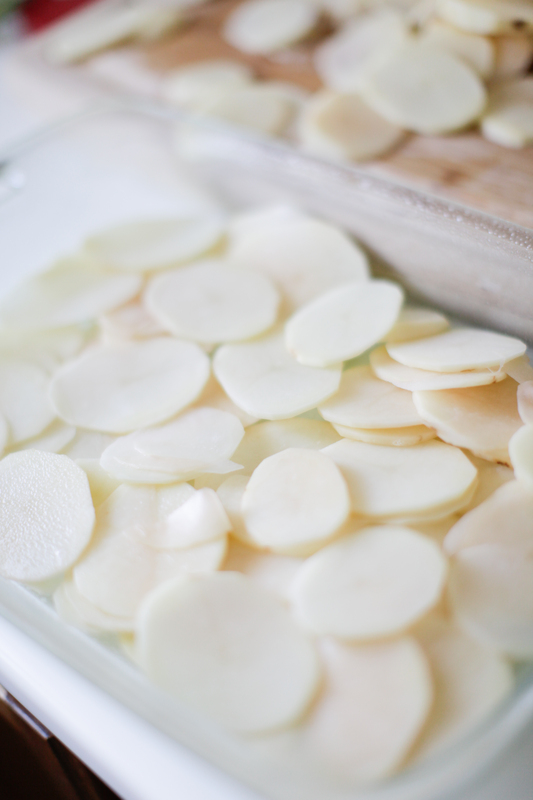 Peel and cut russet potatoes in small chunks. (They cook faster if not in too big of hunks). In a large pot, cover potatoes with water about ½ inch form the top. 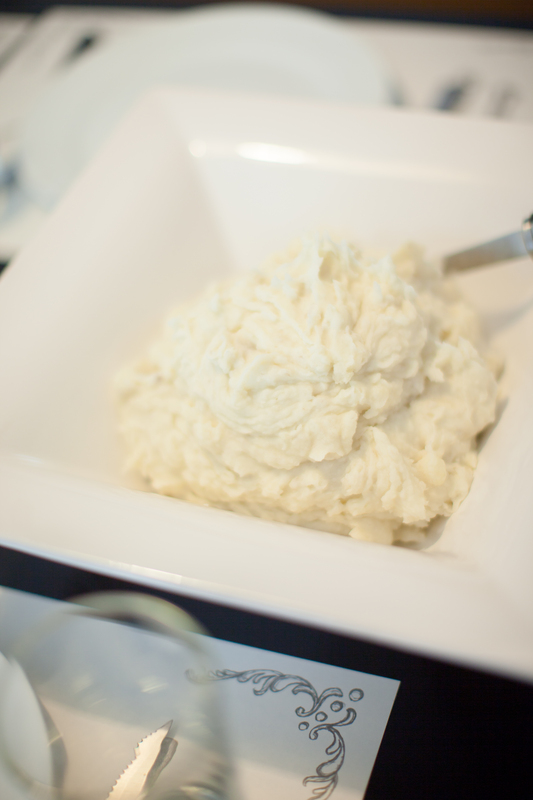 Simmer potatoes until they are tender, drain and then add about ½ cups whole milk and mix with a hand mixer. Add butter and salt. Beat with the mixer adding a little more milk until it gets smooth. (Be careful so it doesn’t get too soupy!) Continue mixing until smooth and no lumpy at all. Season to taste! To ensure your potatoes come out fluffy and light, make sure you put your potatoes into cold water before you start to simmer. Also, don’t over use the hand mixer or it will over blend the potatoes and make them gummy. Another fun photo shoot was just posted on the fabulous SB Chic! I had an amazing time capturing this delicious salad made by the talented Duo Catering and styled by the perfection of Kelly Oshiro. What is more delicious than a grilled peach? 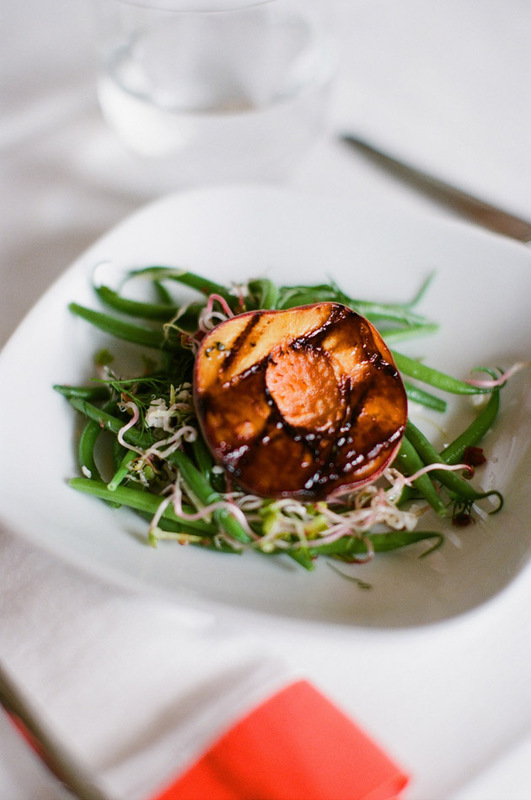 I’ll tell you…a grilled peach with brown sugar and paired with haricot vert salad! My husband was drooling when he saw these pictures and was immediately asking me when I was going to make this for him. Sprinkled with brown sugar, tarragon, and then grilled, the peaches get even sweeter. Remove beans from blanching water and submerge immediately in ice water, drain and set aside while you gather remaining ingredients. Toss Green Beans and Sprouts with remaining olive oil, Preserved Lemon and lemon juice. There is a hilarious story that goes with this recipe. So we had some friends over for dinner and the husband was raving over the salad. He turned to his wife and said, “Honey, you should make this sometime!” and the wife (whose feelings were visibly hurt because she felt he was implying she wasn’t a good cook) replied huffily, “Its just corn!” The husband promptly answered, “But it has bacon in it!” And then of course there was a 10 minute back pedaling conversation that proceeded where I tried to smooth it over by saying he was just trying to be polite to the hostess etc etc. 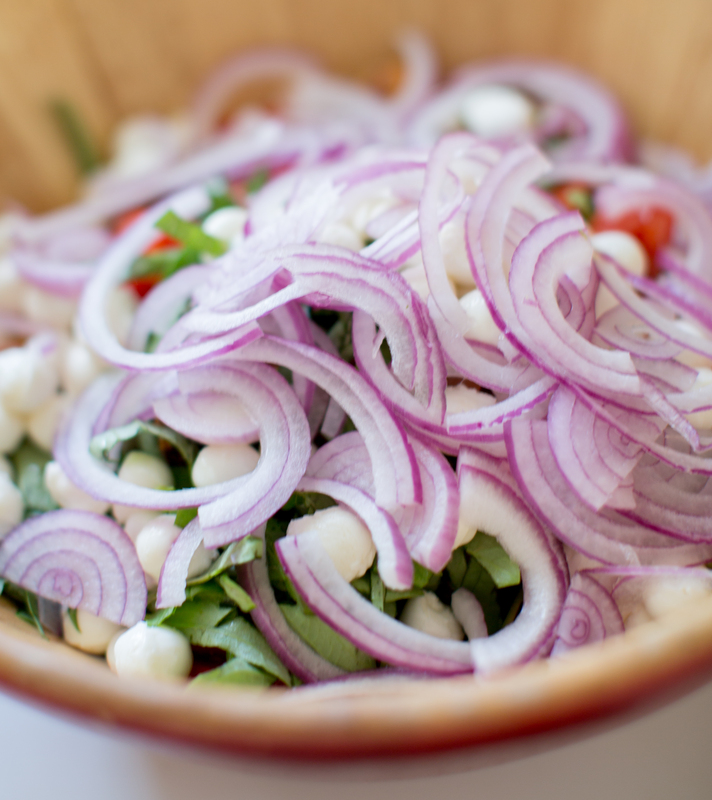 It was a pretty classic “open mouth insert foot moment.” But this is a pretty delicious salad and its perfect for many occasions such as a picnic. 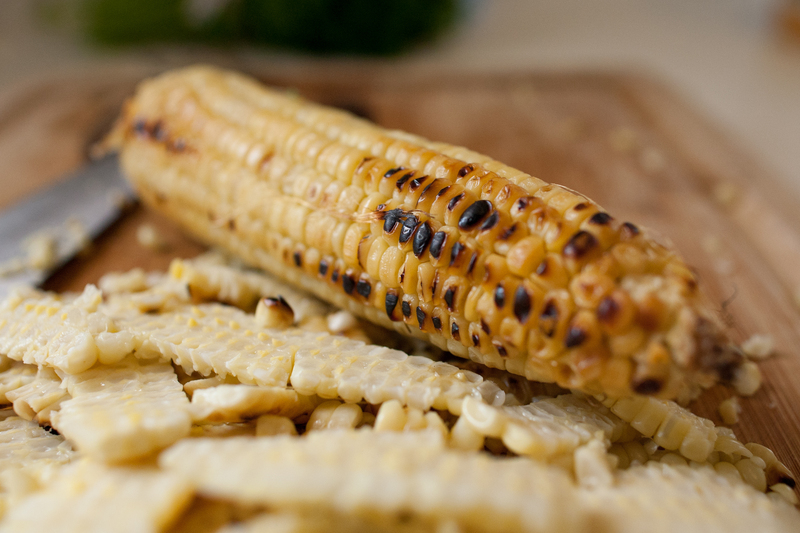 bbq, side dish or just on its own. Make it for your next dinner party but be aware it might incite some heated table conversation! 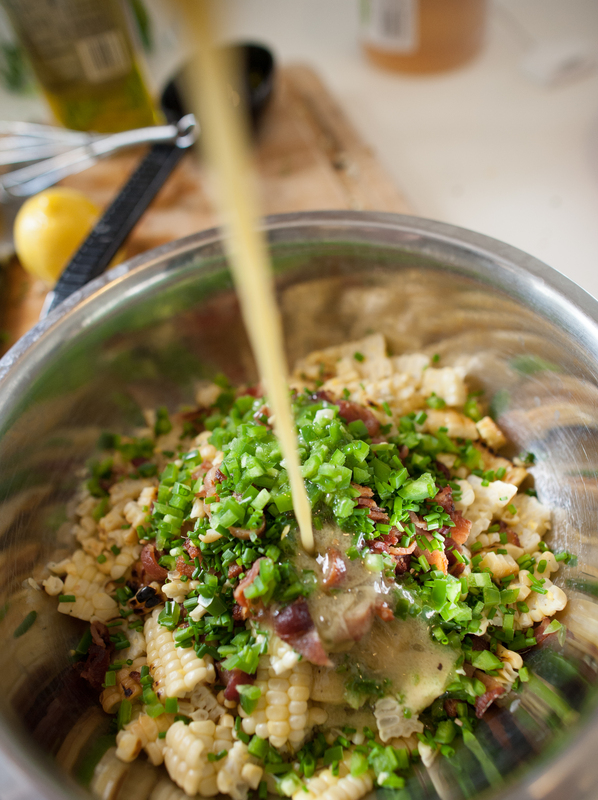 In the meantime mix together the vinaigrette ingredients and set aside. 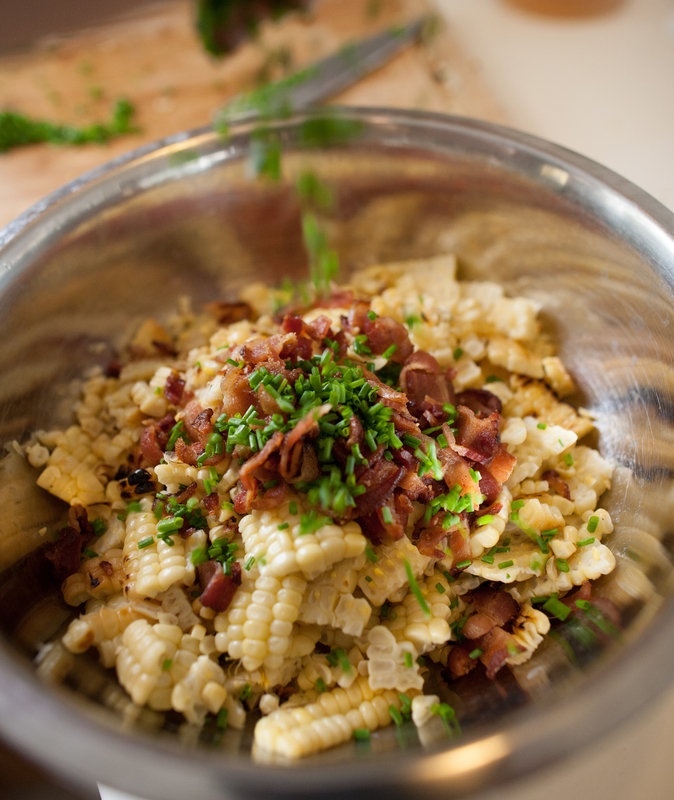 Cut corn off the cobb and place corn in a large mixing bowl. Add jalapeños, chives and bacon. Drizzle vinaigrette on top and mix thoroughly. Serve! 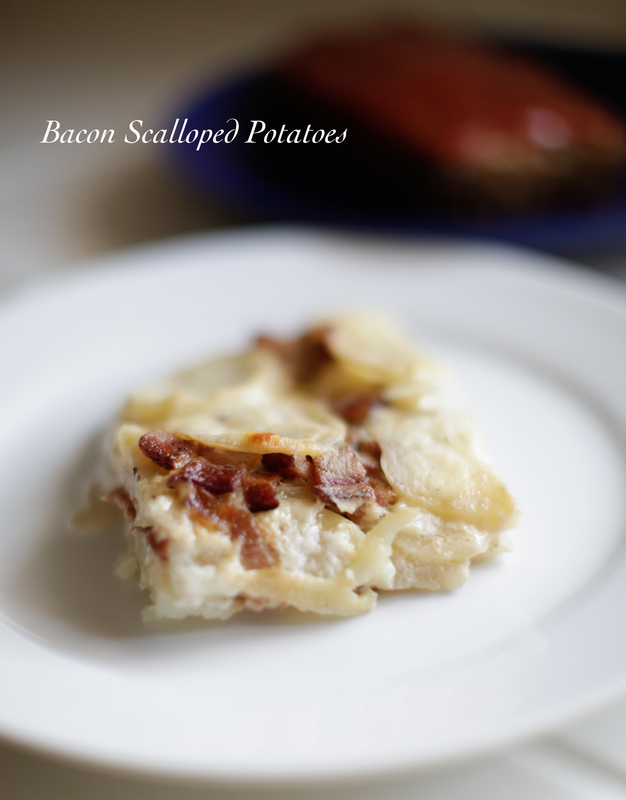 My Grandma often made scalloped potatoes for Sunday dinners. When my sister compiled our family recipes we found out that she made them out of a box! She totally had us fooled for years. 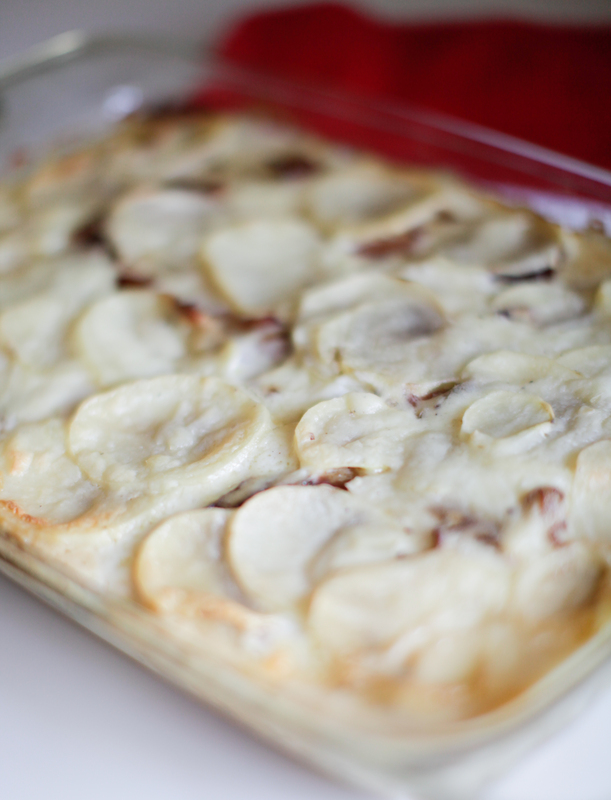 Here is my “non-box” version of her scalloped potatoes. Oh…and I added bacon! 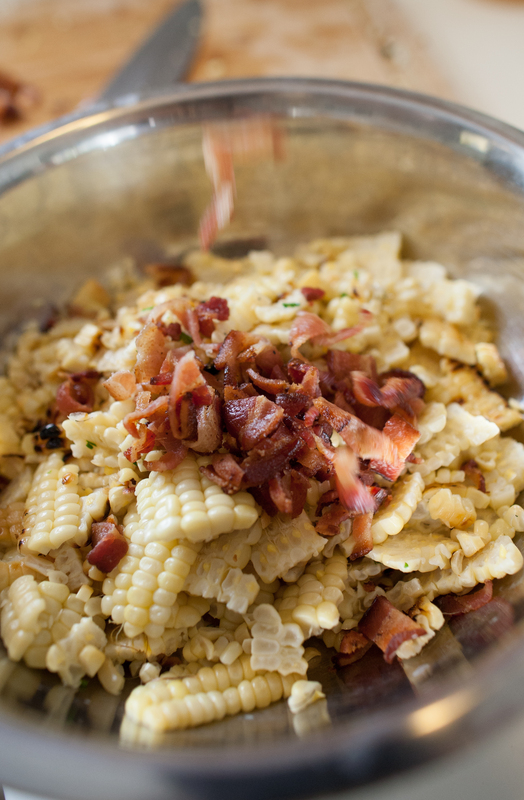 In a saute pan fry bacon until crispy. Drain on a paper towel. Chop up and set aside. In a large saucpan saute onions in olive oil and butter until tender. 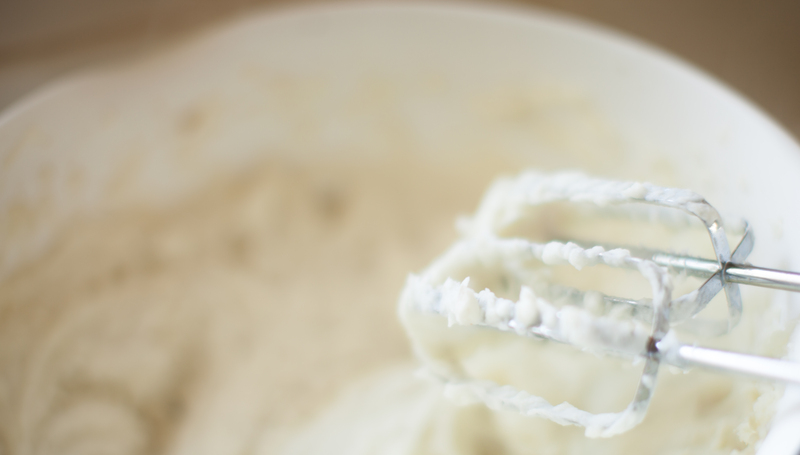 Whisk in flour, salt and pepper until blended. 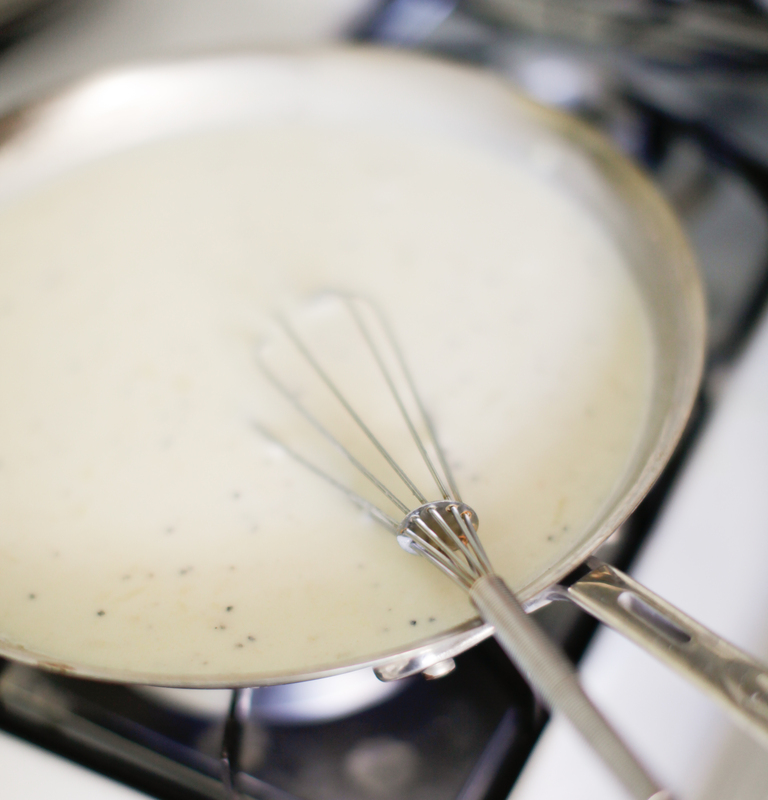 Gradually whisk in milk. Bring to a boil; cook and stir for 2 minutes until sauce is thickened. Place half the potatoes in a greased 3-qt baking dish. Pour ⅓ of the sauce over the potatoes and spread evenly. Sprinkle half the chopped bacon. Layer more potatoes, pour ⅓ more sauce and sprinkle remaining bacon. Layer final potatoes and pour remaining sauce. Bake, uncovered for 60-70 minutes or until potatoes are tender and top is lightly browned. Enjoy! My sister Sarah (everyone in the family calls this recipe “Sarah’s Salad”) gave me a version of this recipe that she got from her mother-in-law. Her mother-in-law had gotten it from a friend who had gotten it from a friend and on and on. Its like the game telephone but with a recipe! Its one of those dishes that you eat at a party and just HAVE to get the recipe because its so tasty. Its become a regular fixture at our Fourth of July celebration and everyone gets excited every time its made. I’ve made a few changes to the original recipe to make it mine so I hope you enjoy! Whisk together sauce ingredients. Set aside. Cook pasta. Drain and run until cold water to stop the cooking. 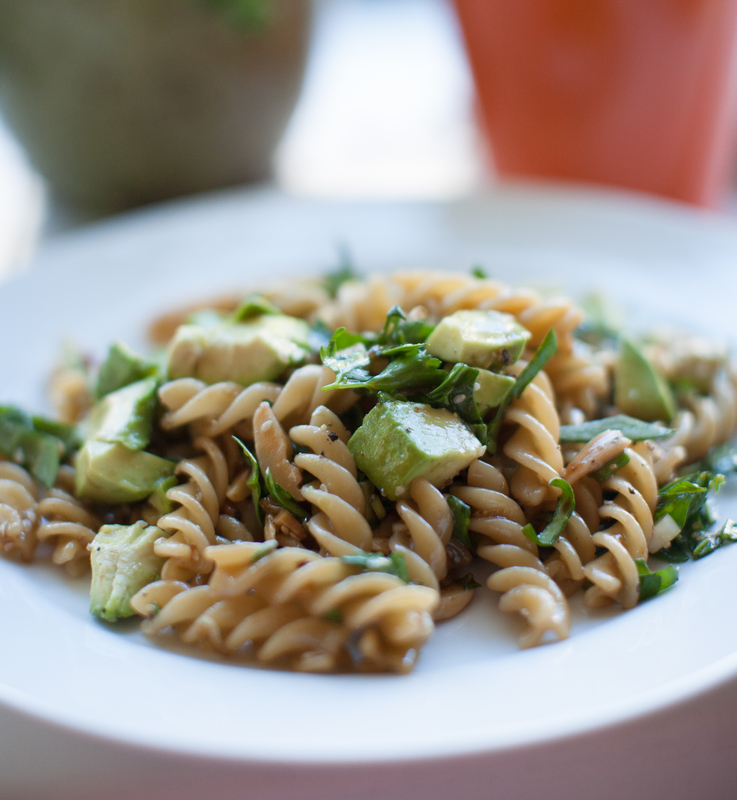 Once cooled and drained, place pasta into a large salad bowl and add in parsley, toasted sesame seeds, green onions, spinach and toasted almonds. Toss together with sauce. Refrigerate until cold or overnight. Top with avocado right before serving and crack some salt and pepper over the avocado to taste. Enjoy! Also, you might be wondering why I’m using canola oil instead of olive oil. 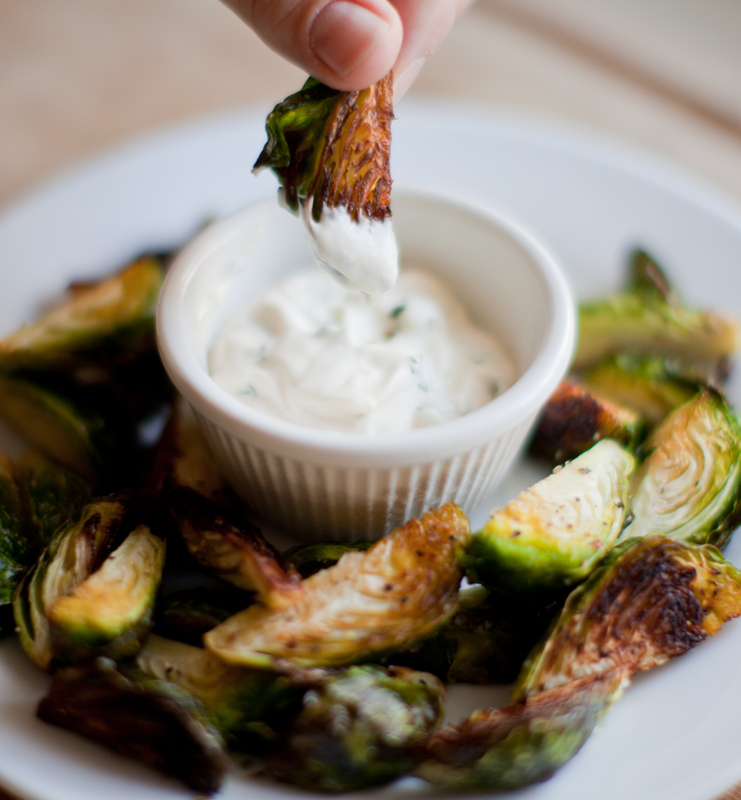 The reason is because brussel sprouts have such a unique and bold flavor and I didn’t want it to compete with the olive oil. Canola oil also seems to crisp things up a little better too. I hope you enjoy! 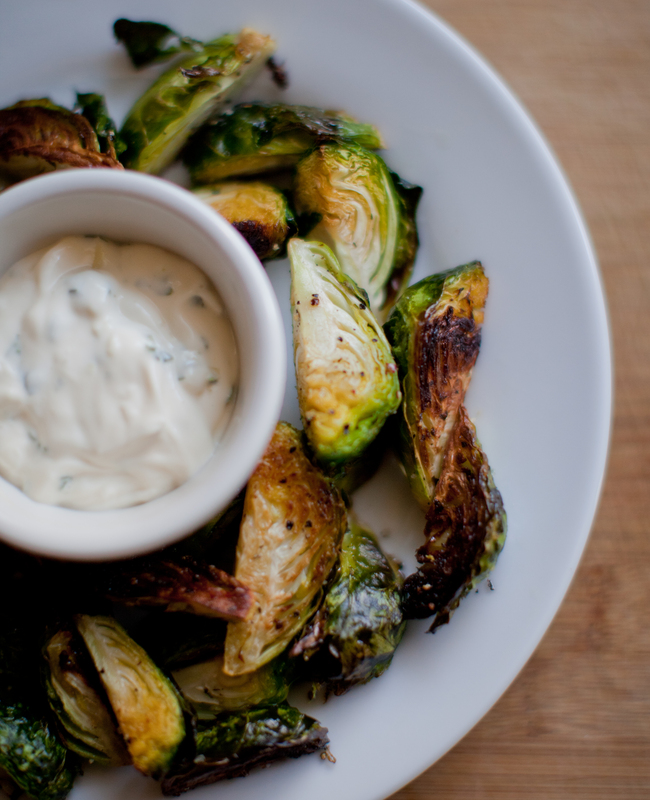 Place brussel sprouts on a baking sheet and drizzle with canola oil. Crack some fresh salt & pepper to taste. 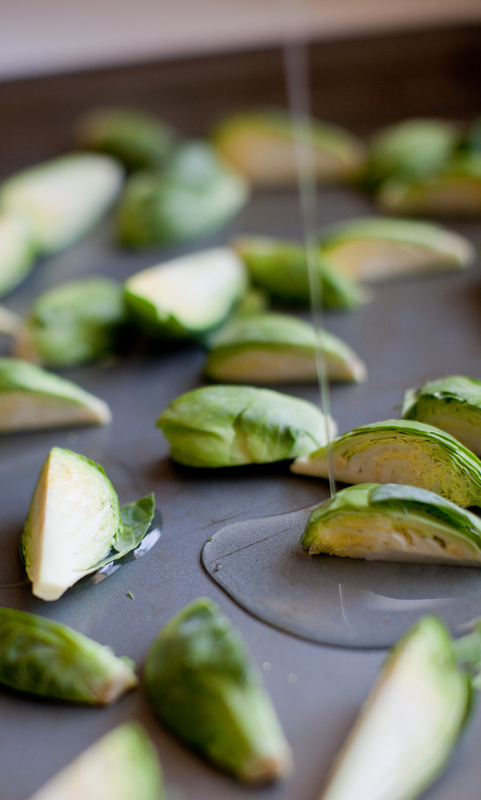 Mix around brussel sprouts on pan to ensure they all get nicely coated in the oil. Bake at 400 degrees for 15 minutes or until golden brown on at least one side.